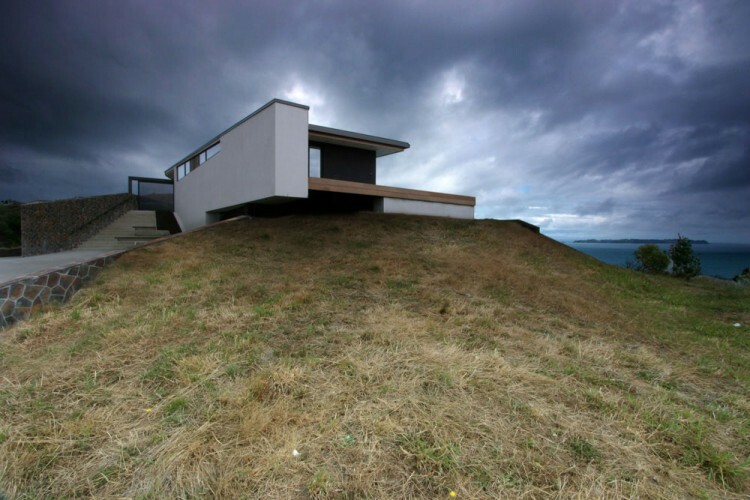 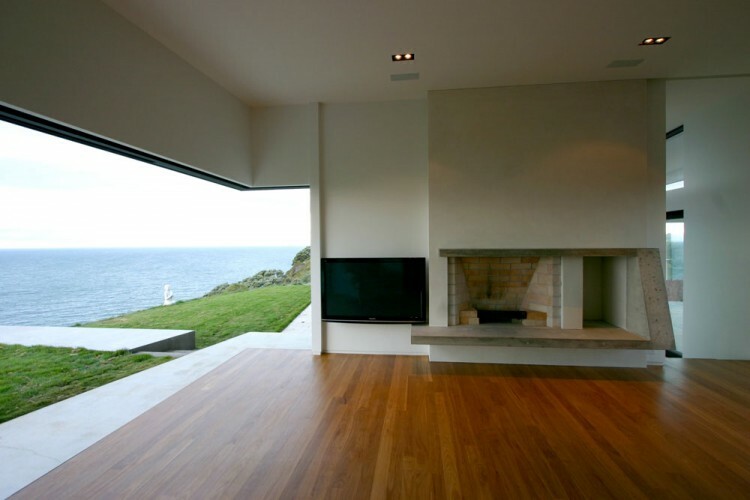 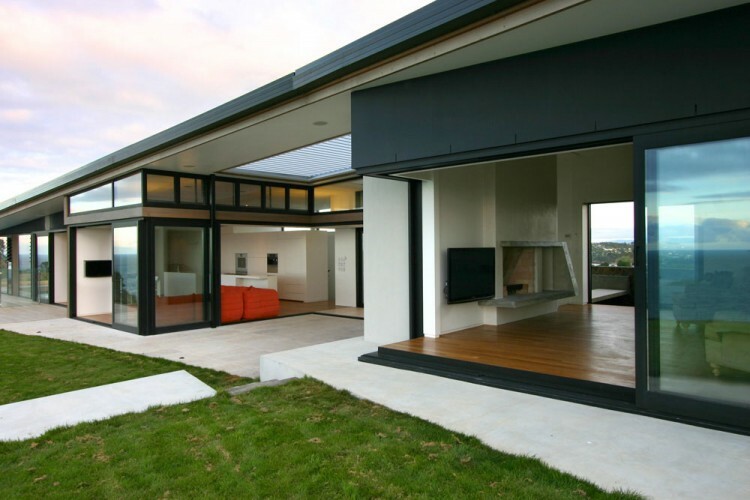 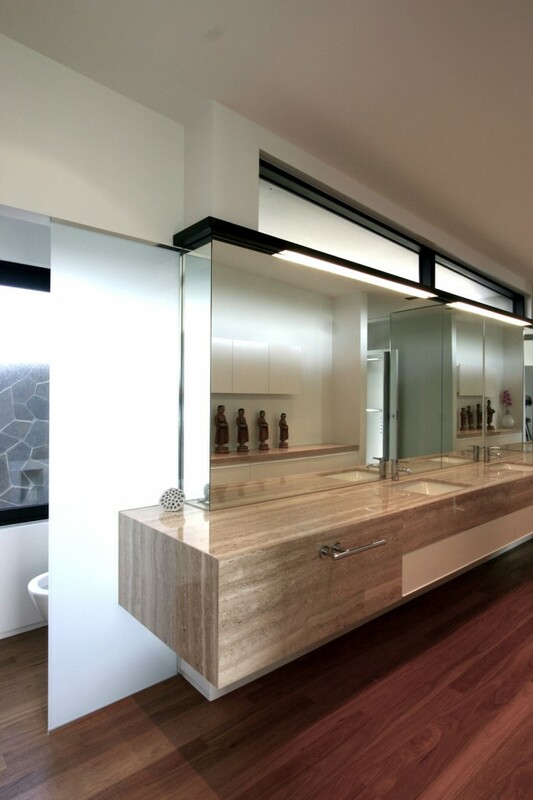 Auckland-based practice Daniel Marshall Architects has completed the Korora house project in 2010. 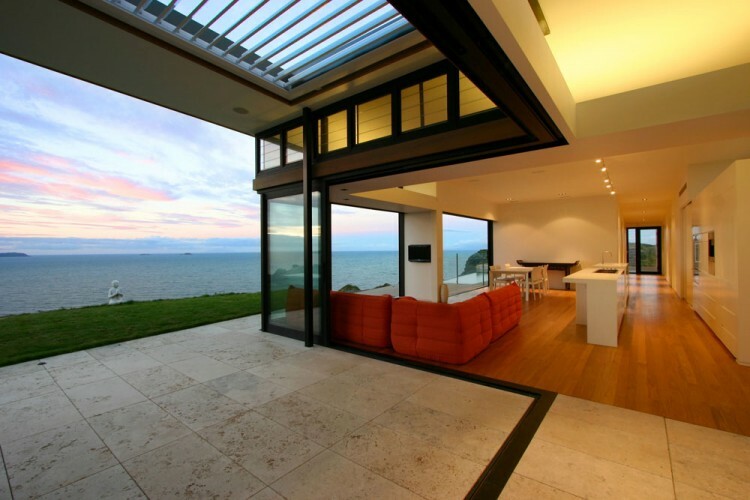 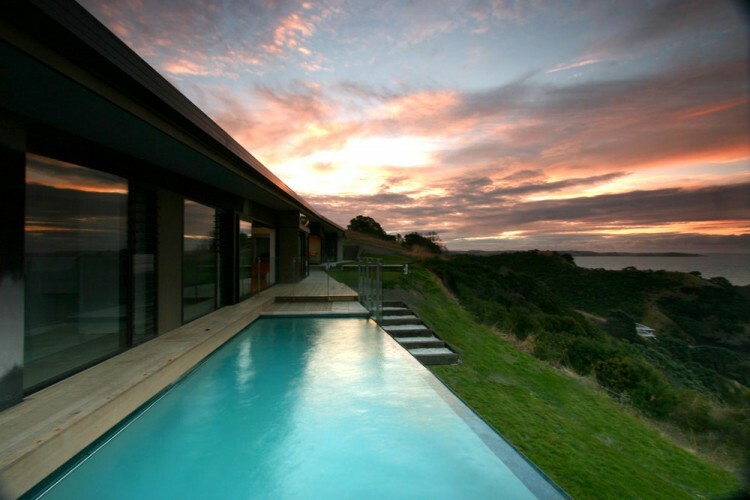 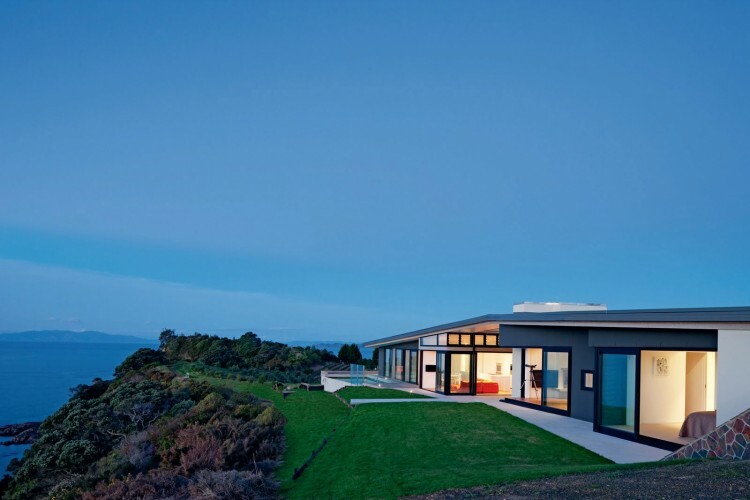 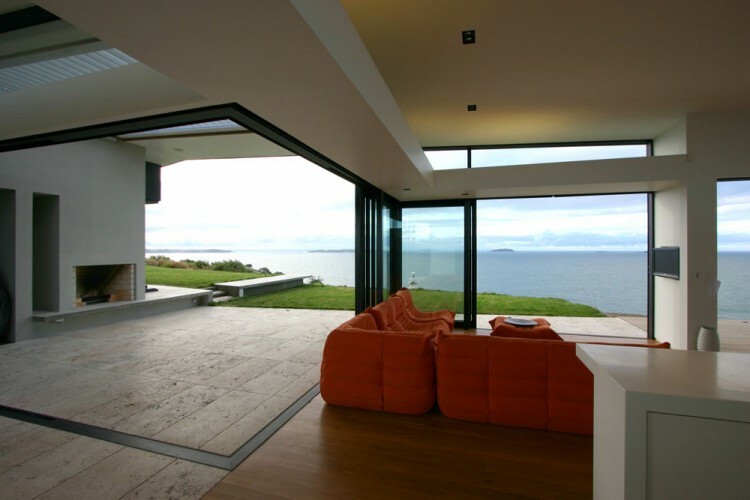 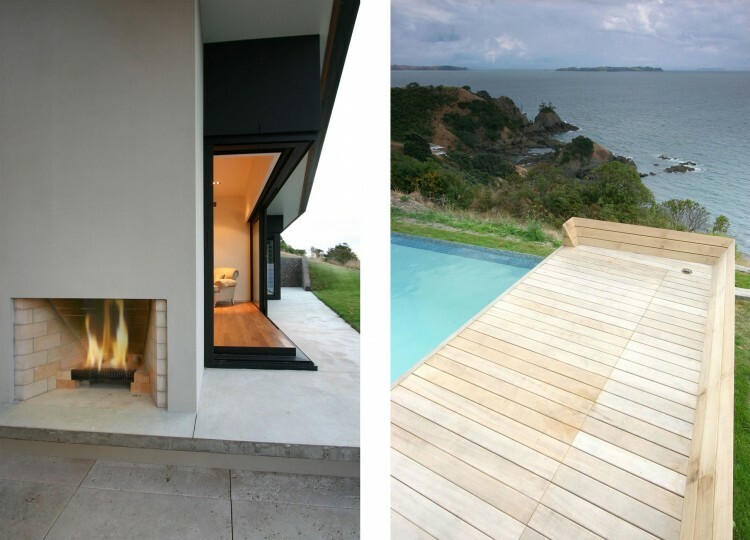 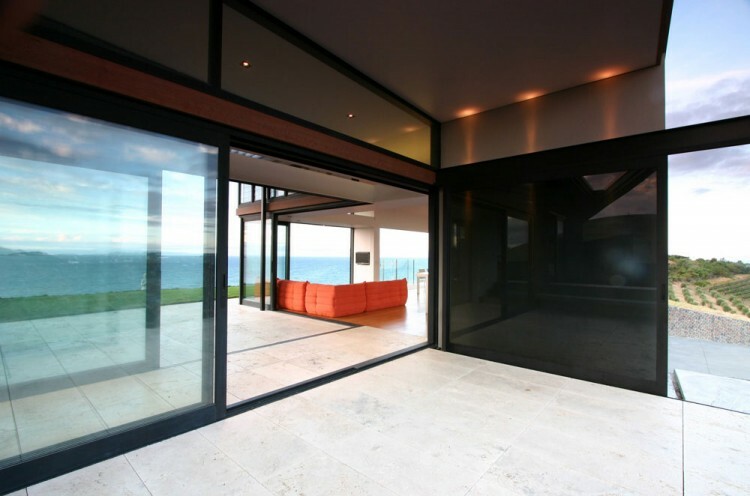 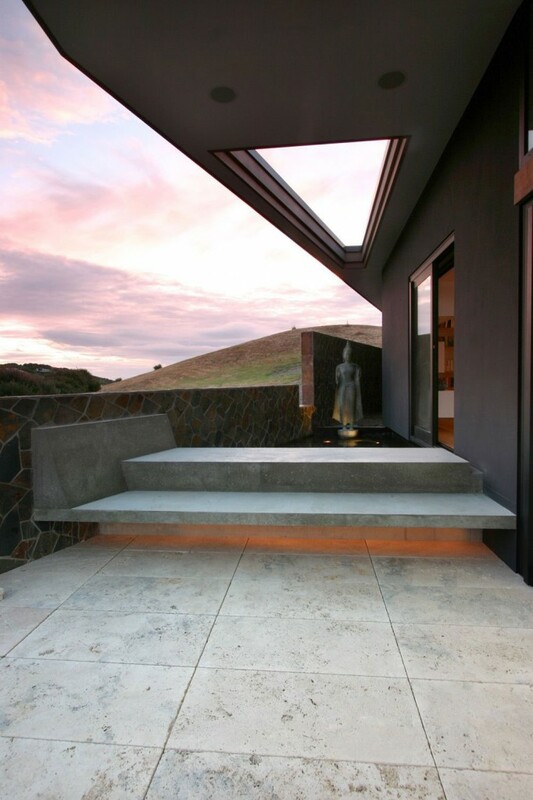 Located on the Waiheke Island, 11 miles from Auckland in New Zealand, the single-family residence was a 2010 New Zealand’s HOME of the year finalist. 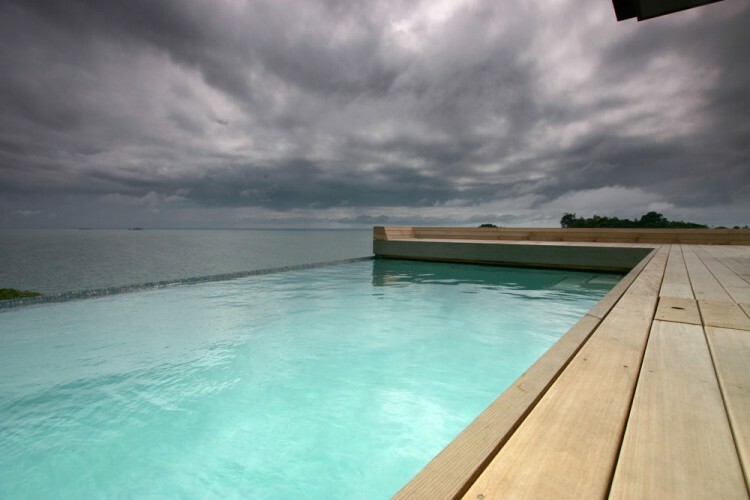 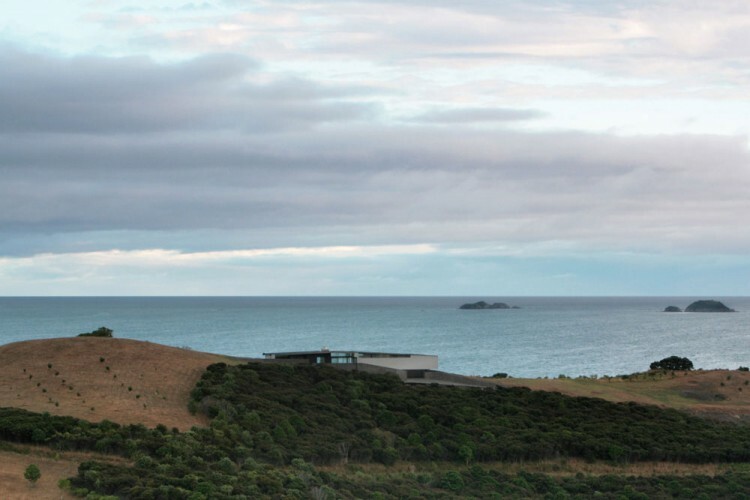 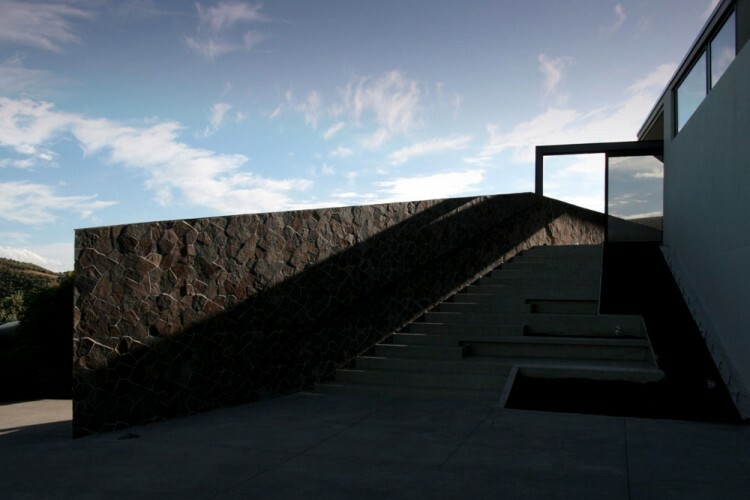 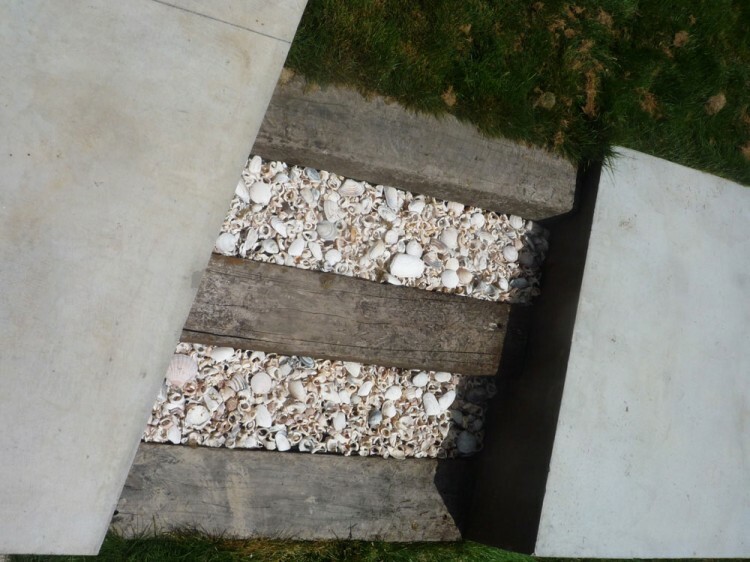 “A ridge stretching between the Hauraki Gulf and the pastoral landscape of Waiheke Island provided a stunning, and challenging, context in which to design a home. 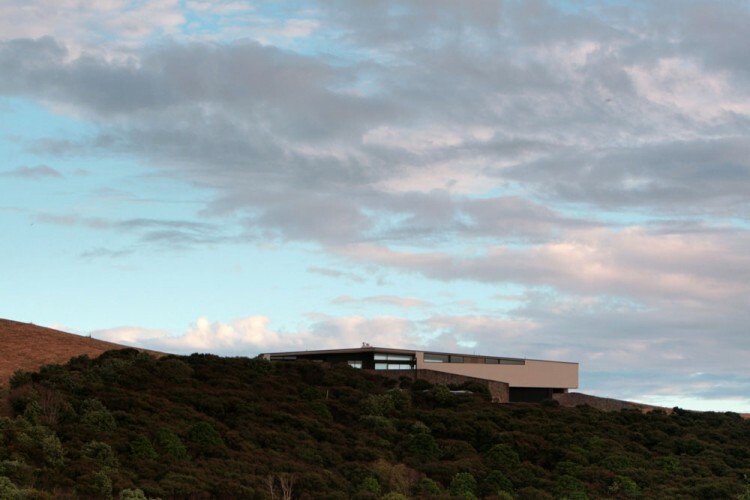 Our approach was to work within the contour of the ridge, as an attempt to minimise the impact on the landscape. 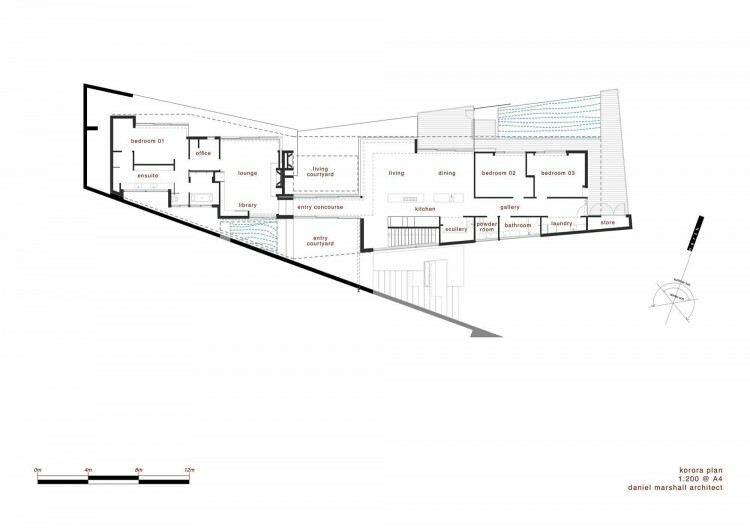 The plan form of the house is spaced between two courtyards, which are bridged by a gabled roof stretched across the long axis. 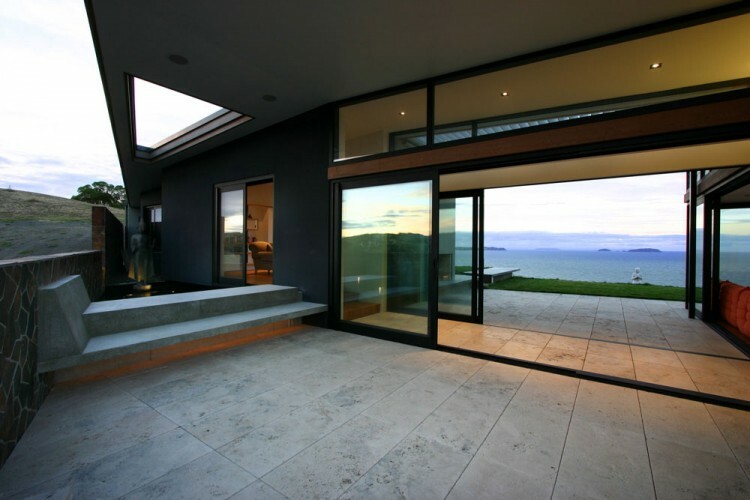 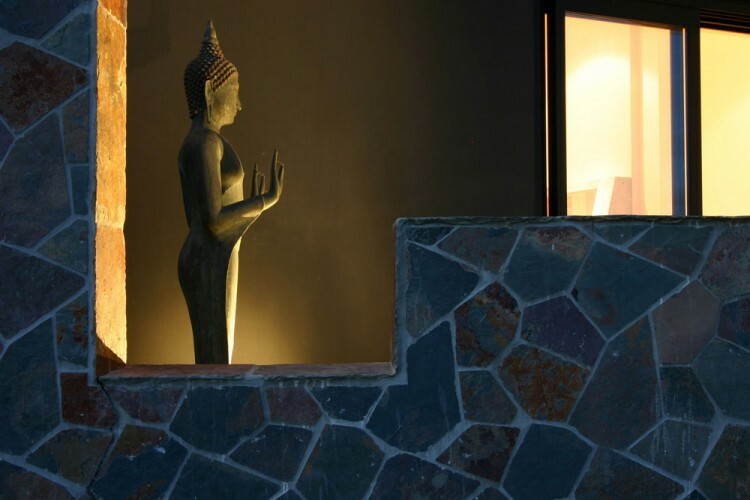 The courtyards provide the opportunity to shelter from either of the two dominant winds.